A pop-up cinema in a former laundromat in New Orleans? We are intrigued. “Because films can be transferred through cloud drives and a presentation can be programmed on a basic computer program, almost anyone can show a movie now. And why not? Netflix may be convenient, but people will always crave the communal aspect of attending a theatrical presentation. But, for many years, there were few choices within the city itself (though, a trip to Metairie or Elmwood isn’t THAT bad). The Hollywood South movement has slowly changed that — with independent and obscure screenings popping up all over a town that has caught movie fever.” Link. India: Apparently it didn’t even buy a ticket, the rascal. “A leopard has sparked panic in a north Indian city after wandering into a hospital, a cinema and an apartment block. Authorities closed schools in Meerut, 37 miles (60km) north-east of the Indian capital, after the leopard was discovered prowling the city’s streets on Sunday, a senior city official said.” Link. India: A long-overdue cut in the punitive ‘entertainment’ tax on single-screen cinemas in one Indian state. “Almost a dozen single-screen cinema halls are set to re-open with the government coming to the aid of the dying traditional halls. Of the 152 single-screen halls, only 32 are currently running across Jharkhand. The bleak picture can be attributed to government apathy and tax burden. In an order to revive these halls, state finance minister Rajendra Prasad Singh on Friday announced several relief schemes for single-screen halls — including slashing of entertainment tax from 16% to 8% and from 6% to 2%, respectively, for different categories.” Link. Ireland: Europe’s highest cinema attendance is still to be found on the Emerald Isles, though it took a five per cent tumble in 2013 as there was no Skyfall-size hit. But Rentrak’s Lucy Jones still sees a silver lining. ““However, the Irish performance compares favourably with some other recession-hit eurozone economies such as Spain, which saw a fall in ticket sales of over 15% in 2013 due to high youth unemployment.” Jones added a similar situation occurred in 2011 with the success of the Oscar-winning The King’s Speech. “Older audiences were motivated to go to the cinema, many for the first time in years. In 2013, we just had the kind of films we normally have, but didn’t have one that captured that audience who don’t normally go.”” Link. Ireland: Seems like there was a conflict of interest at the heart of the cinema deal for Scotch Hall in Drogheda, County Louth. “Nama changed the terms of a bidding process that it ran to select the operator of a proposed cinema that the State assets agency is backing without telling at least one of the participants beforehand. 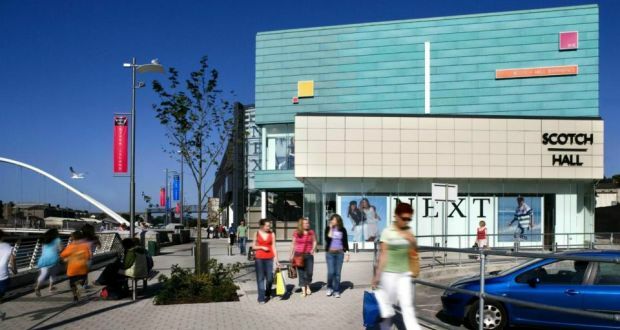 Nama is financing a €20 million development at Scotch Hall in Drogheda, Co Louth, consisting of eight new cinema screens and 50,000sq ft of shops, that is proposed by Edward Holdings, owned by developer Gerry Barret, one of the agency’s larger clients.” Link. USA: A multiplex in the wrong place in the historic US town of Lexington. “The developers want to do two things in South Hill. First, they want to move the historic Lowman House, located near the corner of High and Broadway, to another neighborhood. Next, in its place, they want to construct a building large enough to house 11 movie screens, a bar, a restaurant, 120 employees, and 1,100 patrons. At a neighborhood meeting, the developers said they want to do what’s right for South Hill. If that’s true, they should take another look at their plans. ” Link. UK: “These artist’s impressions have been unveiled, giving the first peek of how the cinema, which will form part of the Stafford Riverside development, will look. Developers LXB Properties unveiled the design at an exhibition on site – and visitors gave it the thumbs-up. The cinema will be surrounded by quality restaurants with indoor and outdoor seating. A 5ft by 3ft LED screen high on the outside of the cinema showing trailers for upcoming films is also being considered.” Link. USA: “Drivers on Business Highway 51 in Stevens Point recently might have noticed a change to the familiar skyline: Rogers Cinema is building a massive new theater. Walls have started to tower over the existing theater in what will be a new “mega screen,” as President Scott Koran calls it. He said the new theater will have 232 seats, a new digital projector for both 2D and 3D movies and Christie Vive Audio cinema speakers — a system that provides the top available audio quality for all movies.” Link. Belgium/Ireland: Auro finds Irish ears are smiling. “Last December, Irish cinema chain Omniplex, a long- standing customer of digital cinema market leader Barco, officially opened the country’s first theater equipped with Auro 11.1 immersive sound by Barco. With a giant (19x9m) OmniplexMAXX screen, the theater is part of a major refurbishment project at Omniplex’ Cork branch, aimed at providing an unequalled digital cinema experience. Auro 11.1 by Barco – the very first Auro installation in Ireland – will help Omniplex achieve that aim.” Link. Too scary for words. “Youngsters were left horrified after turning up with their parents to see the PG-rated Lego Movie at Clacton’s Century Cinema in Pier Avenue on Sunday. Before the film was screened an advert was shown for new television series Bates Motel. It is a prequel to the 1960 Hitchcock movie Psycho. One dad, who took his son to see the film, said: “It was a bit bizarre as one of the adverts was for Christmas at Tesco.” Like I said, what can be scarier than a TV show advertised in cinemas, regardless of the age restriction. Link.